The French Language and Literature Program is designed to enhance active communication skills and to develop an appreciation of the various literatures and cultures of the Francophonie. 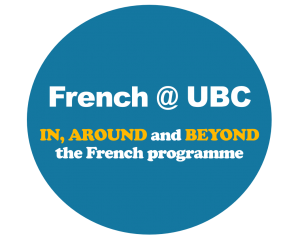 A variety of language, linguistic, cultural and literature courses—the latter offered in both French and English—aim to foster an in-depth understanding of the French-speaking world. Students wishing to specialize in French may do a Minor, Major or Honours Program, all of which include a basic core of upper-level courses in grammar, literature and linguistics along with additional coursework of the student’s choosing. Are you considering a career as a French teacher? Attend one of the information sessions about the Faculty of Education’s teacher education programs, held in November and February. Modern Language Education, Dept. of Language and Literacy Education.